Each player gets a set of pizza toppings dice. 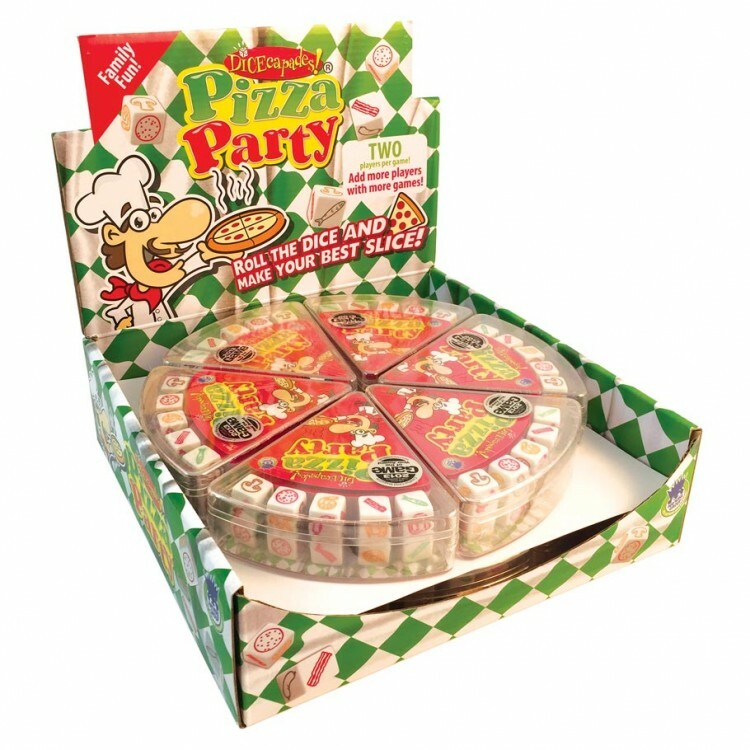 Everyone draws a slice card and quickly rolls their dice trying to match the toppings shown. Place the toppings you need on your slice. When you complete a card, take a new card. The player who completes a full pizza pie first (six slices) wins.